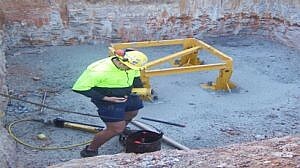 Included but are not limited to tower crane hire. We prefer to use our own Engineers which we have been working with for countless years to inspect and draw up engineering plans which relates to your specific job site. Depending on your specific needs this can include permits for road and traffic and/or council permits, traffic control, crane base design and engineering, crane assembly and dismantle and transport of the crane to and from the site, service and maintenance of the crane during the entire hire period and insurance. Our recommendations and advice include what equipment and machinery you will need to buy or hire to complete the crane work on your job site i.e. Engineers certificates and inspections, whether you require wet or dry hire of equipment and labour and whether or not you need people trained and where to send them to get them trained. Our crane hire services are there to provide some piece of mind. You are not on your own…we are here to help ensure the success and safety of your Project by carrying out the the services necessary to get your crane installed and operating.